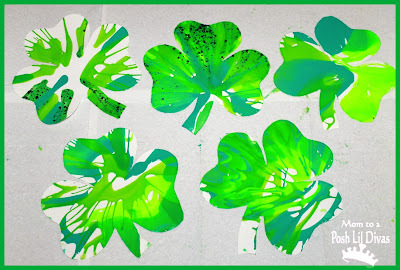 Looking for some last minute St. Patrick's Day Art ideas? 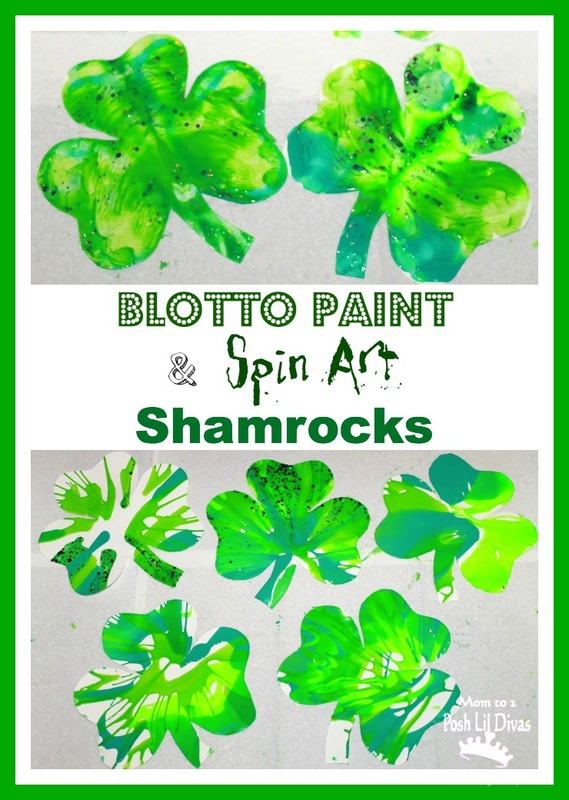 I have 2 fun and easy ways to paint and decorate shamrocks - Spin Art Shamrocks & Blotto Paint Shamrocks. 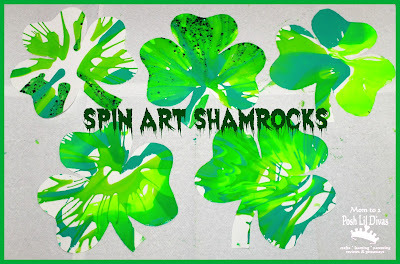 This was our very first foray into Spin Art and the Lil Divas are enamored. 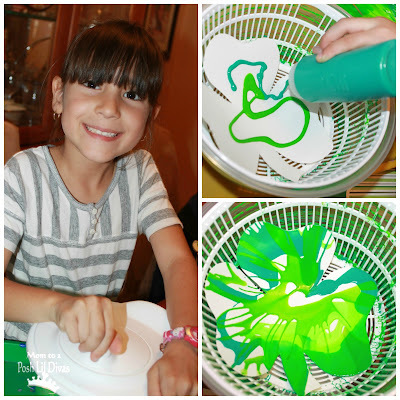 They quickly became addicted to the salad spinner and how cool the art looked as a result of using it. So fun! In order to achieve this spin art look we used this IKEA TOKIG Salad Spinner that I bought on sale specifically for our art projects. I have had it tucked away for months and I'm so glad I remembered it. 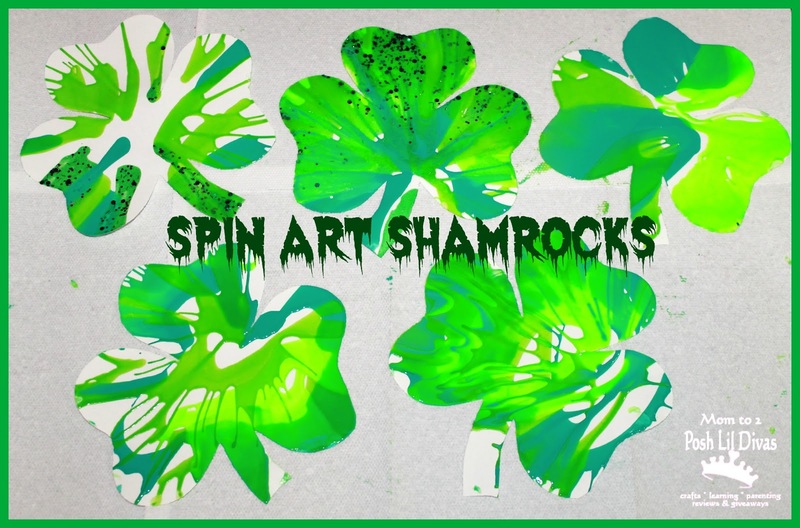 The Lil Divas had a great time creating Spin Art Shamrocks. 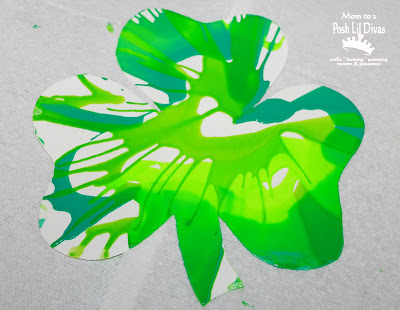 I drew a large shamrock template and cut out the shape on card stock. 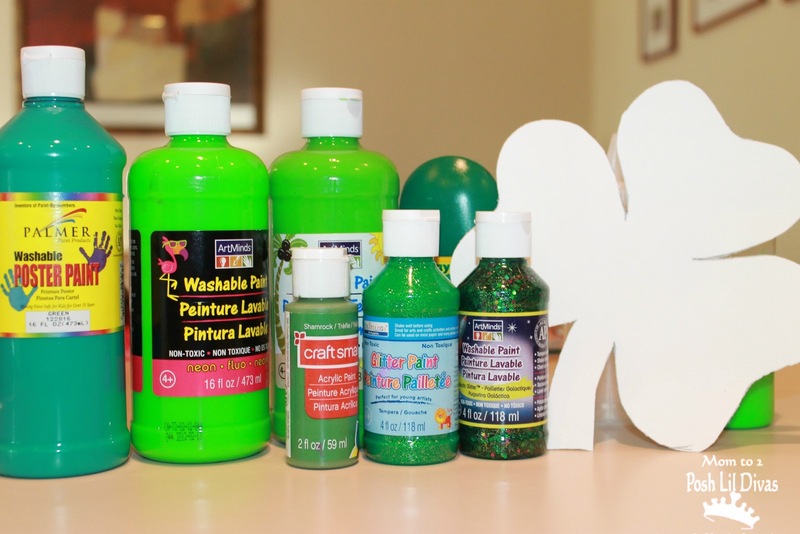 I got out all of our paint in various shades of green and let the Lil Divas get busy. We placed the shamrock template into the salad spinner and the Lil Divas squirted paint in various shades of green onto the paper. I let them do this freely so they typically ended up using lots of paint. Once they were happy with the paint, we closed up the salad spinner and got spinning. This was by far their favorite part. The results were all unique and each one was pretty fabulous. I see lots more spin art in our future. We also decided to do some Blotto Paint Shamrocks while we had all of our green paints out and ready. This is so easy and the results are always so cool to look at. It's a great art activity for kids of all ages as well. 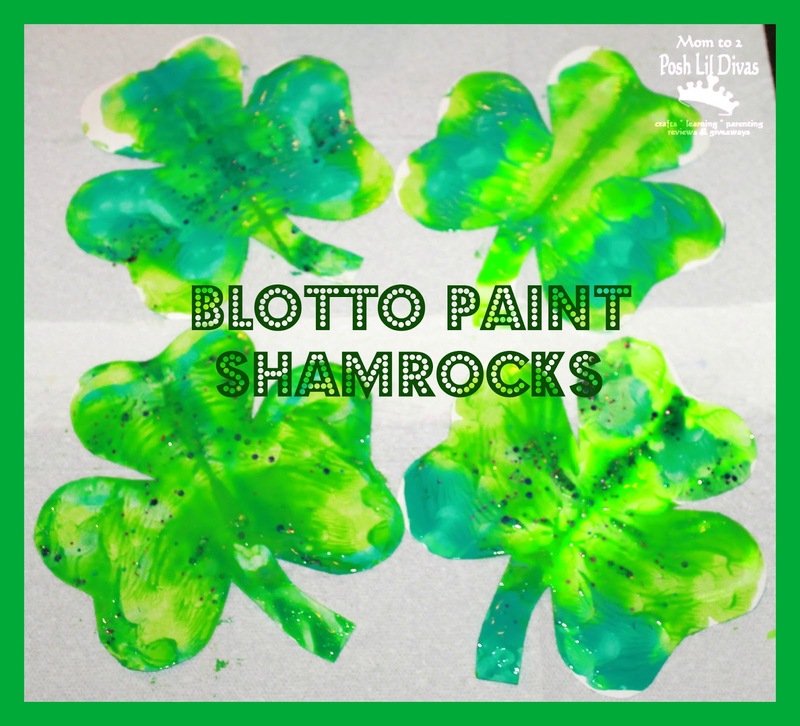 Using our shamrock template, we folded them in half and the Lil Divas applied paint to one side. 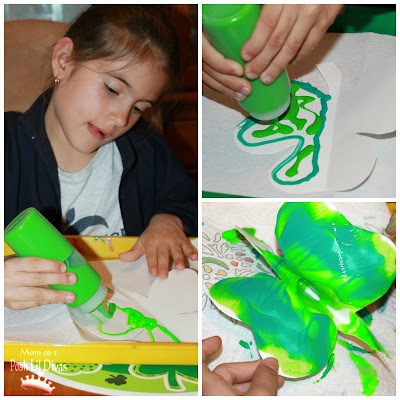 Once again, I let them do this freely so there was lots of different shades of green used and it got messy but that's where the fun comes in. 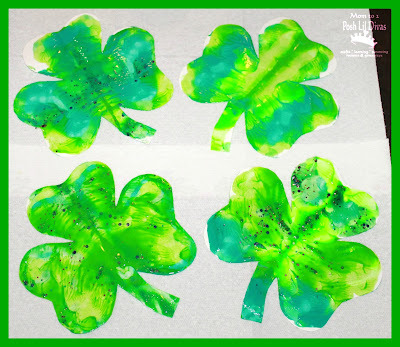 Once the Lil Divas were happy with the paint application, they closed the shamrock and squished, squished, squished to smear the paint. Then we opened the shamrocks to reveal our blotto paint design. We ended up with lots of fabulous looking shamrocks to decorate our house with. If you're looking for more St. Patrick's Day inspiration check out our St. Patrick's Day posts and our St. Patrick's Day Pinterest board. Love these! Can you believe, I've never done spin art with my kids? Definitely time to get started!